"For the benefit of the two countries and peoples, China stands ready to work with the Philippines to implement the important consensus reached between the two leaders, jointly conduct and deepen practical cooperation in the South China Sea, and seek an early realization of joint exploration and development," Chinese Foreign Ministry spokesperson Geng Shuang said in a press briefing. MANILA, Philippines — A possible joint development between the Philippines and China in the South China Sea will not have legal complications, according to the Chinese Foreign Ministry. Foreign Affairs Secretary Alan Peter Cayetano said that the joint exploration will be "done soon" if it would be acceptable to both parties. 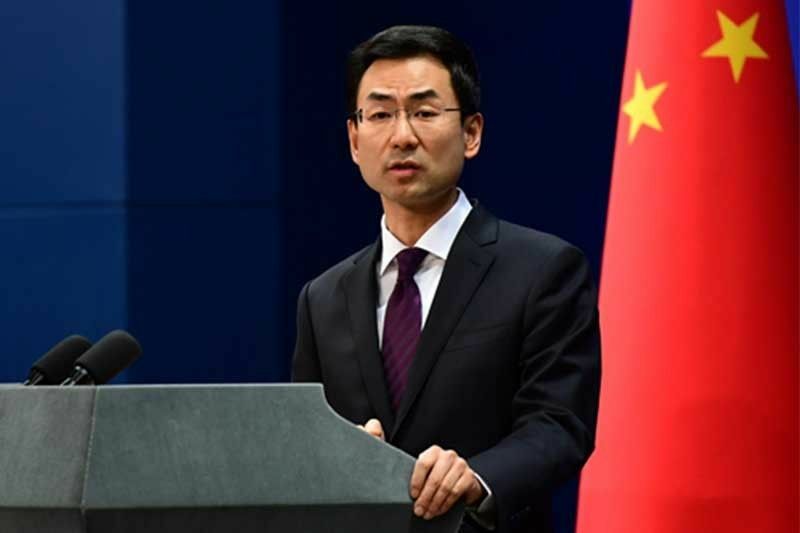 "Joint development will not affect the legal position of either side on the relevant issue," Chinese Foreign Ministry spokesperson Geng Shuang said in a news briefing Wednesday. Geng stressed that Beijing remains committed to the peaceful resolution the South China Sea dispute through negotiation and consultation. "Pending final settlement, China would like to conduct practical cooperation in various fields with parties concerned, including under the principle of shelving differences and seeking joint development," he said. President Rodrigo Duterte and Chinese President Xi Jinping were able to reach an agreement on how to handle the South China Sea issue and move forward with maritime cooperation following their meeting at the sidelines of the Boao Forum for Asia in Hainan province. The Chinese Foreign Ministry spokesperson also noted that the bilateral relationship between the Philippines and China has seen a "sound and steady" development. "For the benefit of the two countries and peoples, China stands ready to work with the Philippines to implement the important consensus reached between the two leaders, jointly conduct and deepen practical cooperation in the South China Sea, and seek an early realization of joint exploration and development," Geng said. The Philippine government has yet to finalize a framework on joint and gas exploration with China before drafting a memorandum of understanding. Cayetano said that the Philippines is seeking a deal similar to the Malampaya project. “We are not giving up any territory... What we want is an arrangement that will be as good as Malampaya. For Malampaya we are getting 60-40,” Cayetano told reporters in Hong Kong. Two areas in the Philippines' exclusive economic zone are reportedly being considered for possible joint development between the Philippines and China—service contract 57 (northwest Palawan) and service contract 72 (Reed Bank). SC 57 is not covered by a maritime dispute while SC 57 is also being claimed by China. Duterte had said that the possible joint development with China in the West Philippine Sea or South China Sea would be like "co-ownership." "Ngayon, offer nila, eh 'di joint exploration. Eh 'di parang co-ownership, parang dalawa tayong may-ari niyan, eh 'di mas maganda 'yan kaysa away," Duterte said in a speech last month.